The healthcare industry is extensively targeted by phishers who frequently gain access to healthcare data stored in email accounts. In some cases, those email accounts contain considerable volumes of highly sensitive protected health information. 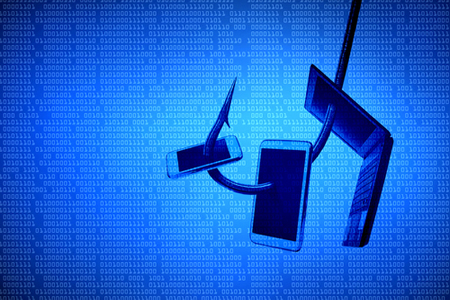 Phishing is one of the leading causes of healthcare data breaches. In August 2018, Augusta University Healthcare System announced that it was the victim of a phishing attack that saw multiple email accounts compromised. The breached email accounts contained the PHI of 417,000 patients. The incident stood out due to the number of individuals impacted by the breach, but it was just one of several healthcare organizations to fall victim to phishing attacks in August. Data from the HHS’ Office for Civil Rights shows email is the most common location of breached PHI. In July, 14 healthcare data breaches out of 28 involved email, compared to 6 network server PHI breaches – The second most common location of breached PHI. It was a similar story in May and June with 9 and 11 email breaches reported respectively. The anti-phishing solution provider Cofense (Formerly PhishMe) recently published an Industry Brief which explored the problem of phishing in the healthcare industry. The report, entitled ‘Say “Ah!” – A Closer Look at Phishing in the Healthcare Industry’, confirmed the extent to which the healthcare industry is targeted by cybercriminals. The healthcare industry accounts for 1/3 of all data breaches, which have resulted in the exposure or theft of more than 175 million records. It is no surprise that the healthcare industry is targeted by hackers as healthcare organizations store vast amounts of extremely valuable data: Health information, insurance information, Social Security numbers, dates of birth, contact information, and financial data. Information that can easily be sold to identity thieves and fraudsters. Further, the healthcare industry has historically underinvested in cybersecurity with security budgets typically much lower than in other industry sectors such as finance. Cofense data shows that healthcare organizations fare worse than other industries in terms of susceptibility and resiliency to phishing attacks. To measure susceptibility, Cofense used data from its phishing simulation platform – Susceptibility being the percentage of healthcare employees that were fooled by a phishing simulation. Resiliency to phishing attacks is the ratio of users who reported a phishing attempt through the Cofense Reporter email add-on versus those that did not. Across all industries, the susceptibility rate was 11.9% and the resiliency rate was 1.79. For healthcare, susceptibility was 12.4% and resiliency was 1.34. The insurance industry had a resiliency rate of 3.03 while the energy sector had a resiliency rate of 4.01. The past few years have seen cybersecurity budgets increase and a greater emphasis placed on security and risk management. The extra funding for anti-phishing defenses is having a positive effect, although there is considerable room for improvement. How Are Healthcare Employees Being Fooled by Phishers? An analysis of the phishing email simulations that most commonly fooled healthcare employees reveals a mix of social and business emails. The type of email most likely to fool a healthcare employee was a requested invoice, followed by a manager evaluation, package delivery notification, and a Halloween eCard alert, all of which had a click rate above 21%. Emails about holiday eCard alerts, HSA customer service emails, and employee raffles also commonly fooled employees. Data from Cofense Intelligence shows invoice requests to be one of the most common active threats, often used to deliver ransomware. 32.5% of healthcare employees were fooled by those emails in simulations and only 7.2% reported the emails as suspicious. The Cofense report includes further information on the most commonly clicked phishing emails and advice for healthcare companies to help reduce susceptibility to phishing attacks. The Cofense Healthcare Industry Brief can be downloaded on this link (PDF).